AdSupply, Inc. announced today that it has signed an exclusive partnership with Liberty Alliance, LLC and Patriot Ad Network. The deal includes running AdSupply’s suite of high-impact 100% viewable online advertising products, as well as BlockIQ’s patented BlockBypass™ Technology, a system that allows any website to serve ads to users running AdBlock. “We’re delighted that Liberty Alliance and Patriot Ad Network see AdSupply as the best choice to generate revenue for their network,” said Justin Bunnell, CEO. Added Jared Vallorani, CEO, Liberty Alliance & Patriot Ad Network: “After a thorough review of alternative advertising networks we decided to continue our partnership with AdSupply for a third consecutive year. Their superior technology combined with dependable advertiser compliance and responsive customer service make them the clear choice”. Liberty Alliance is a family of over 65 websites dedicated to advancing Life, Liberty, and the Pursuit of Happiness, with members and strategic partners that leverage the power of new media to promote traditional values, generating more than 1,000,000 page views each day. Founded in 2007 by Brandon Vallorani, Liberty Alliance was established to manage the operations of conservative alliances including key figures, news organization, and publishing houses. 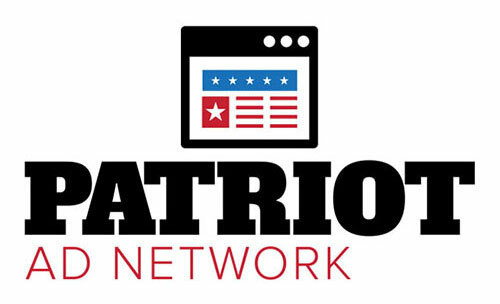 Services available include users email newsletters and daily content, along with providing the development and management of websites for conservative political and religious influential voices including Allen B. West, Joe the Plumber, Kirk Cameron, DailySurge, Clash Daily, BarbWire and more. Headquartered in Culver City, CA, AdSupply, Inc., solves the problems of banner blindness, viewability, and fraudulent traffic through better technology and more distinctive visitor engagements. AdSupply developed the next generation display advertising engine that values user interaction and engagement over the simple page view. Our founders have significant expertise and hold US patents on methods and systems that go beyond the banner to address major issues with traditional display by creating unique ad experiences. AdSupply display solutions provide exclusive, high impact, high value ad placements that outperform traditional display.